How sweet is this Classic Treehouse? 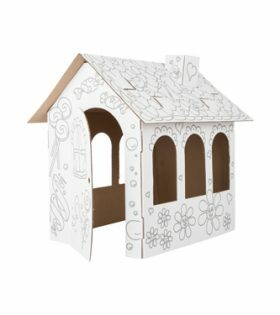 The perfect home for fairies, small dolls or animals, it is made in Europe from natural reclaimed cherry wood and has rustic bark edges. 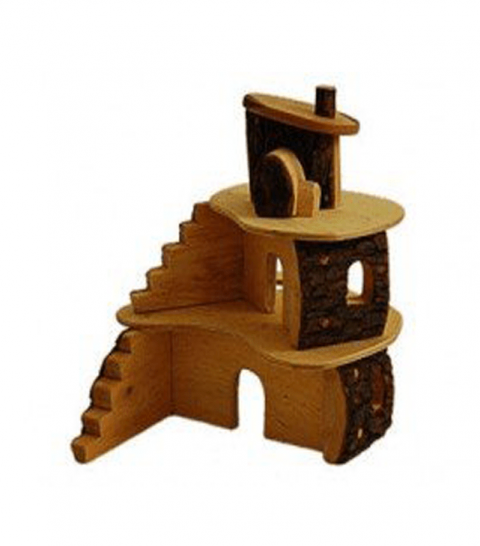 A beautiful wooden toy for inspiring imaginative play, it’s open design allows children to play with it from all sides. The three levels are removable and sit on top of each other, so that it can be packed away to a compact size. 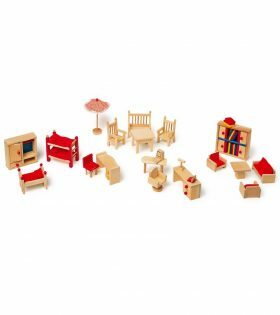 It can be furnished with Treeblocks doll house furniture sold separately. Handmade in Europe from salvaged timbers and finished with natural oils. NZ customers please note this item would require fumigation fro Quarantine upon arrival in NZ with these charges being added to any import charges debited to you. 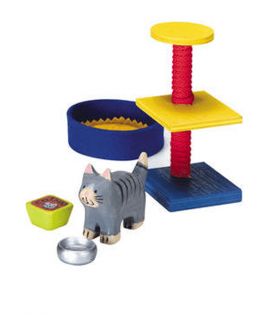 Not taking up too much space and therefore ideal for traveling: when opened this coloured wooden case offers role play fun on two sides. It is a fairy house for small bending dolls! 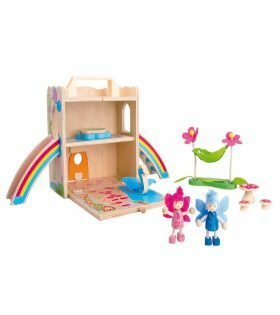 Upon easy set up, fairies can play, climb and slide on two floors. In front of the house a pond and a flower garden are waiting for fairies to enjoy their leisure time. Including carrying handle. A busy day at the vegetable stall. Two assistants are busy selling their delicious, healthy vegetables and pickles. 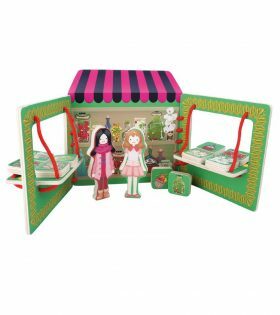 This super vegetable stall can be set up with the supports and it even features a small flap that is secured with the supplied red strings. The vegetables can be artfully arranged and when it is all sold the flap is simply closed! 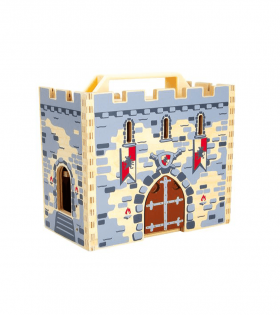 Not taking up too much space and therefore ideal for traveling: When opened this coloured wooden case offers role play fun on two sides. It is a holiday cottage for small bending dolls! 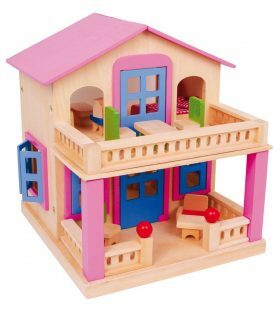 Easily set up, dolls can enjoy their leisure time indoor on two floors and outdoor. With cute living accessory, furniture and useful slots in the lid for easy carrying. You need to check this new home for you doll. It’s best what the dolls could have.